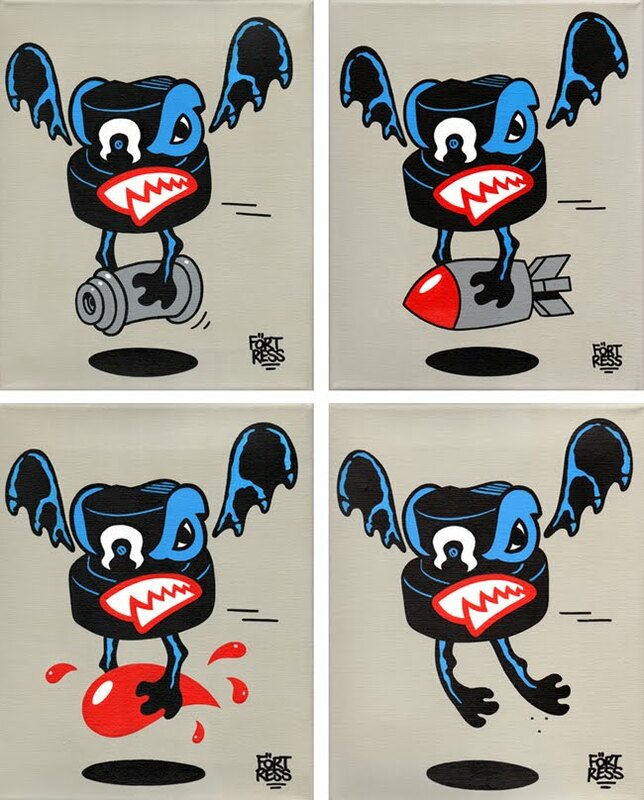 I made these series of little canvases for the release paty of the new Kidrobot's Fatcap series at Sixxa Store in Vienna. It was super fun night. If you missed it you can check for the canvases at the RockawayBear.com online store.